We offer a second hand uniform sale service. This is often available during Open Afternoons and on request. Should you require further information regarding this, please don't hesitate to contact Mrs. Pearson in the school office. 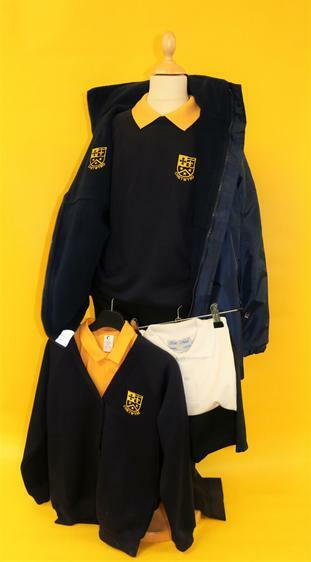 Another easy way to get great value school uniforms in your school's colours, complete with embroidered emblem - and to raise money for your school just by shopping with us. Enjoy home delivery within approximately four weeks for just £2, or free if you spend over £15 on embroidered school uniform*. Where you will be able to select and order the Chetwynd Uniform! +5% cash donation to your school. 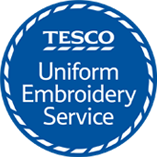 Tesco will donate 5% of sales on all product bought from a participating schools web page. Donations will be made to schools directly on the 1st October, 1st February and the 1st June. Includes all products on the school's web page embroidered and non-embroidered. *Embroidered and non-embroidered items are delivered separately. Please note that Click+Collect delivery is not available for embroidered school items. If you use Click+Collect on non-embroidered items with school embroidery in the same order, you'll still incur the £2 delivery charge for the embroidered items - or spend over £15 on embroidered uniform to take advantage of free delivery.